Frittata and Omelette are two different dishes that are made of egg but many people get confused by thinking them the same. They think that both of these dishes are the same because there are many similarities like ingredients in Frittata and Omelette. However, these two dishes are different from each other in many aspects. 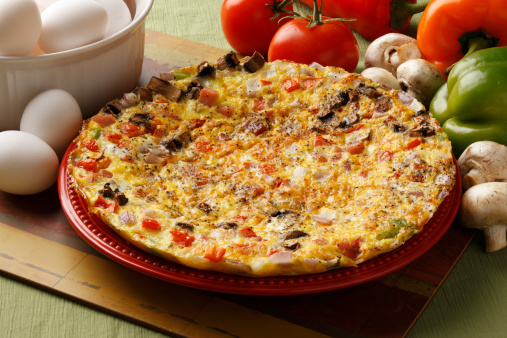 Frittata is an Italian dish while Omelette has its origin in France. A low heat is required to prepare Frittata and it takes more time. On the other hand, Omelette takes less time in preparation and it requires medium to high heat for getting perfect results. 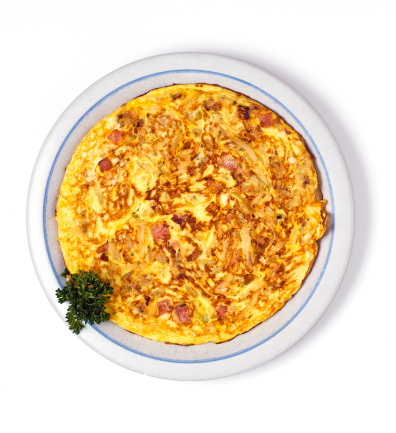 While preparing Frittata, a batter is used to mix up all ingredients while the ingredients of the Omelette are not mixed up as they are placed over the Omelette. Frittata is kept open faced while Omelette is folded in order to wrap all ingredients inside it. Frittata is used after making it cool and people eat it when it comes to the room temperature. On the contrary, people love to eat Omelette hot immediately after preparing it without waiting for even a few minutes. Frittata has its origin in Italy and is considered one of the most delicious dishes especially for breakfast and also in between meal times. For preparing Frittata, you just need to beat all ingredients along with egg whites with a batter and put them into a frying pan and put it on stove with slow heat. Usually ingredients like pasta, cheese and vegetables along with egg white are used to prepare Frittata. Some people consider Frittata a complete meal as they add many different ingredients in order to make it heavy that replaces their regular meal in a desired manner. 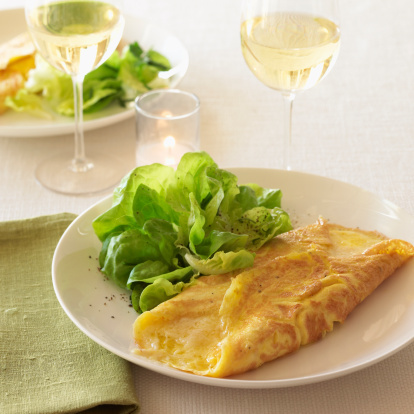 Omelette is a French dish that people love to have in their breakfast. The main ingredient of Omelette is egg and there are many other ingredients that people use according to their taste. It takes just a few minutes to prepare an Omelette because it is cooked on high heat and thus it gets ready very quickly. People who feel hungry between meal times preferably use Omelette that is not that heavy and makes their belly satisfied in a desired manner. Many people use onion, vegetables and cheese along with eggs for preparing a perfect Omelette.